On 7th march 2013, Facebook officials give a presentation on a new design of Facebook News feeds for all devices, tablets, PCs, Smartphones, etc. 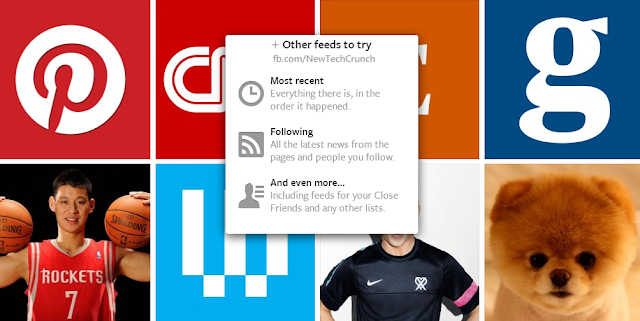 News feed is the default page, where user gets all hot updates from their friends and contacts. In new design Facebook gives more value to photos by increasing image size, so that how it occupies column width fully. Every single story that you will see on the News Feed is completely redesigned, and you can see the rich previews of all of the stuff that your friends have shared. The other feature which is helpful for users especially those which are in hurry is the option to select a specific type of news feed; only related to Music, from groups, or you can also go to your following feed to see updates from celebrities, news resources, and from all of the pages which you liked, etc. Check out below image for more clarification. 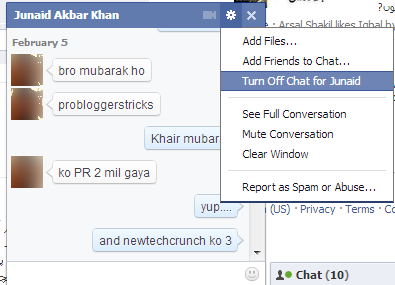 The other big change which I observed today (and definitely it rolled out today) is new design of Facebook Chat Box. Fb introduces chat bubbles and, it seems that the new chat box is inspired from Apples iOS. The messages of your friend would appear with his profile image, and by placing a mouse on a specific message, will show its time. You have also an option to add more friends to chat for group discussion. And the rest of options are same like clear chat history, insert files, video calling, insert smilies, etc. Look at below images in which I have explored some of features which you can use during chat. Currently the above mentioned changes are not released for all users. You can join the waiting list to upgrade facebook chat box and news feed for the new look by visiting this link. http://www.facebook.com/newsfeed. I wonder when it will be rolled out across the board? Actually looking forward to the debate it will no doubt inspire! I HATE THIS CHAT !